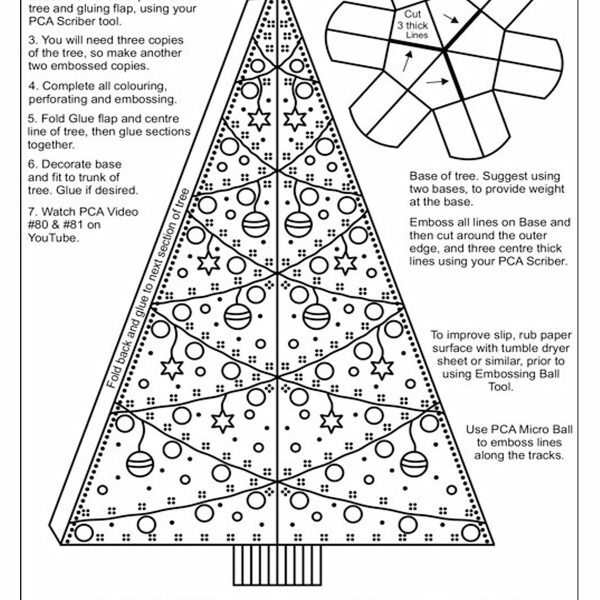 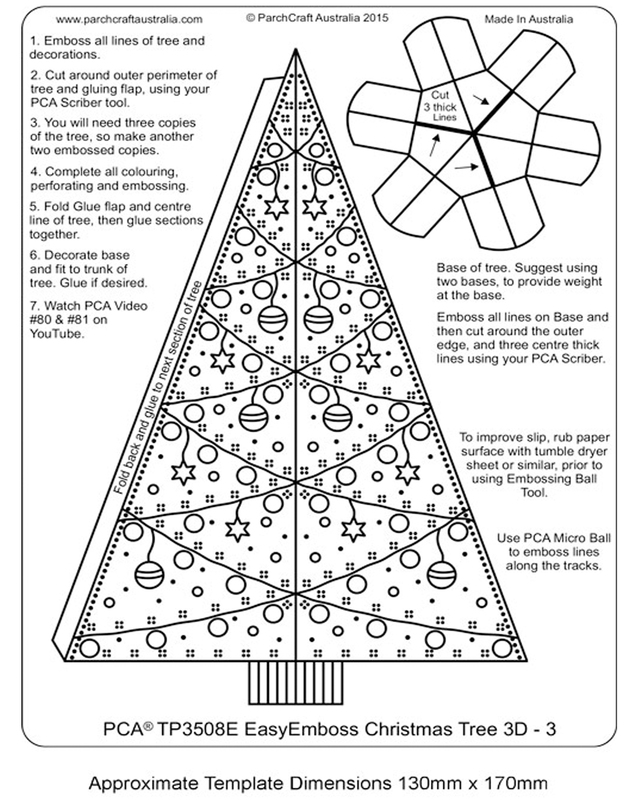 PCA® – TP3508E EasyEmboss Christmas Tree 3D – 3 Template. 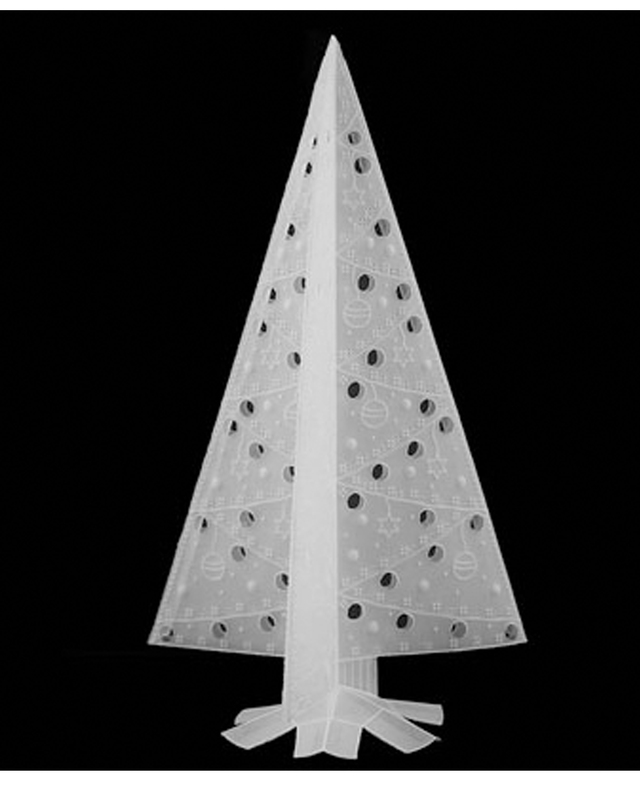 A simple Christmas tree to make with the option to personalise. 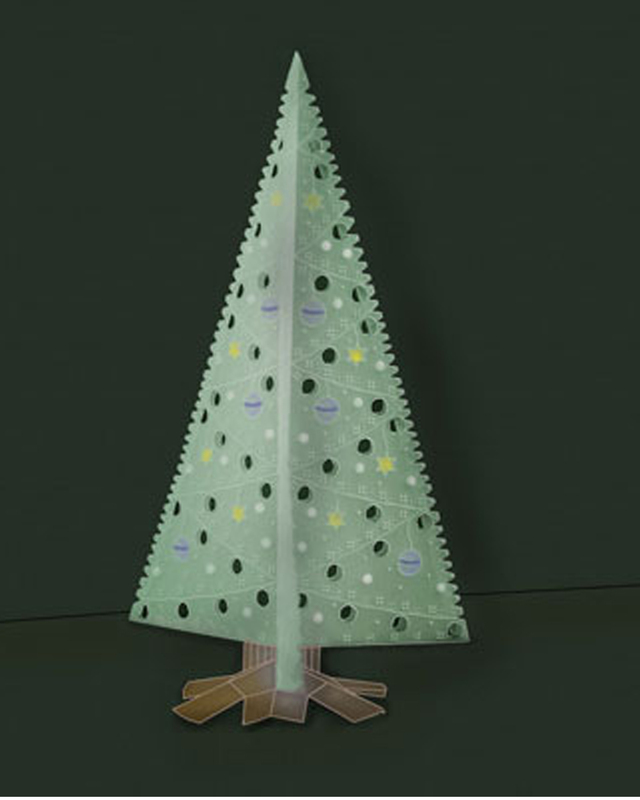 Can be simply embossed or cut out to make a 3D tree. 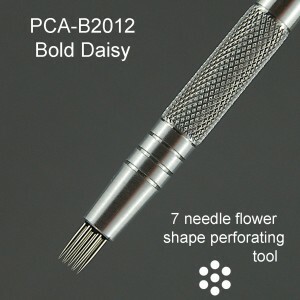 A delicate design giving fantastic results each time and can be mixed and matched with other PCA templates to create wider range of variations. 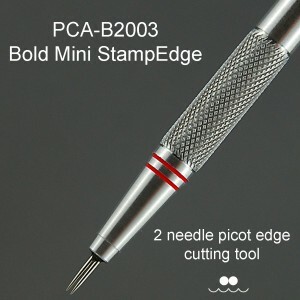 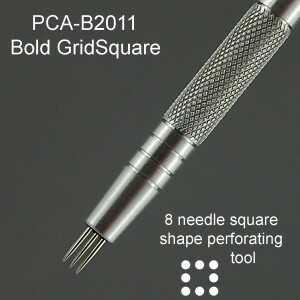 Emboss using your PCA-E3012 Micro Ball tool.